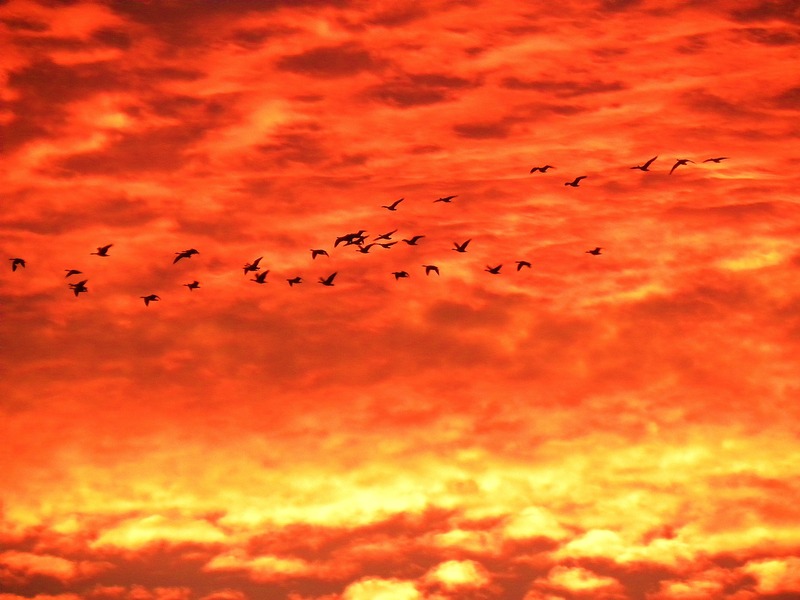 We can only appreciate the miracle of a sunrise if we have waited in the darkness. Hooray that the days are going to get longer and longer now. Mother Nature owed us that sunrise after taking away our view of the lunar eclipse hours before. Not that I’m bitter or anything. You can tell Carson that Mother Nature paid ya’ll back in spades! Beautiful! Love everything you’ve captured against that skyfire, and looove your sign. Vickey totally took my line. I’m impressed you were able to pick up your camera when you saw that! Such instinct! Beautiful! Our solstice sunrise was foggy and dark. 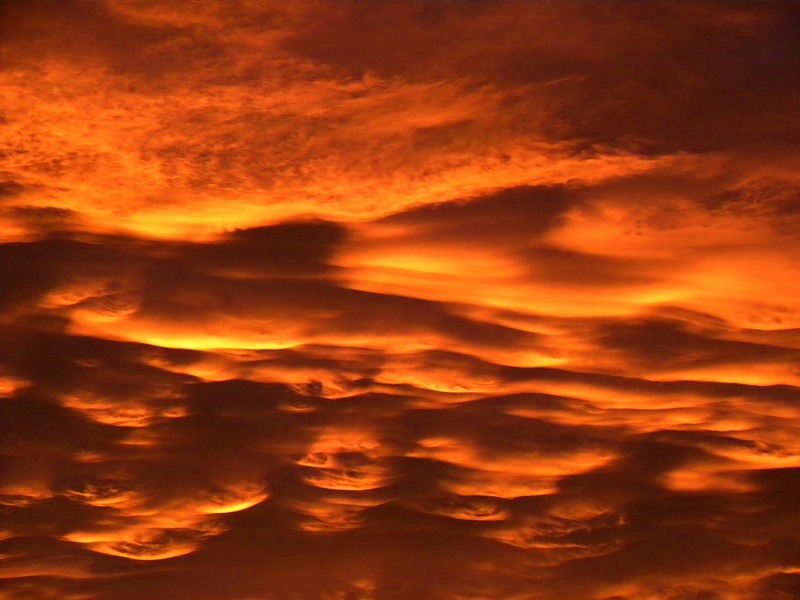 That looks like fire rolling across the sky. Wow! I love seeing the outline of the donkeys in your sign backlit like that. 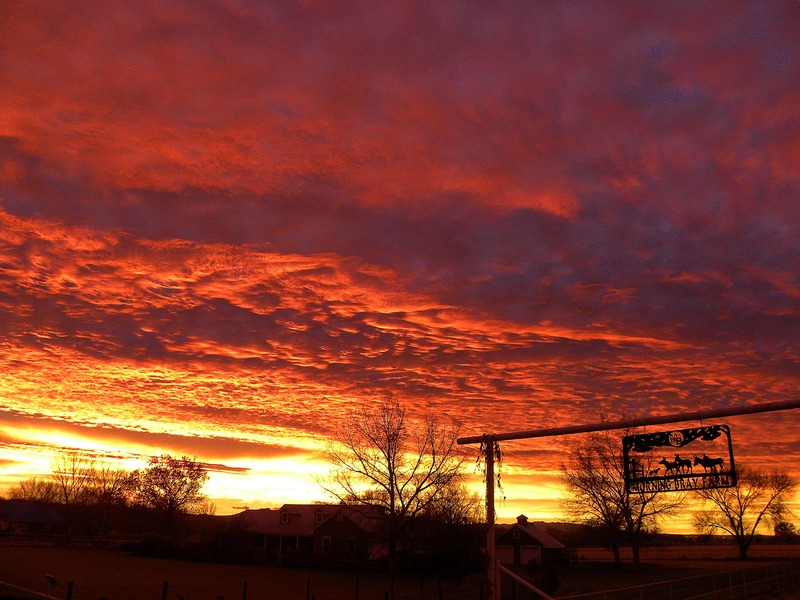 It looks like Morning Bray Farm is a magical place! Wow!! And I bet that was worth standing in the dark for! Absolutely gorgeous! 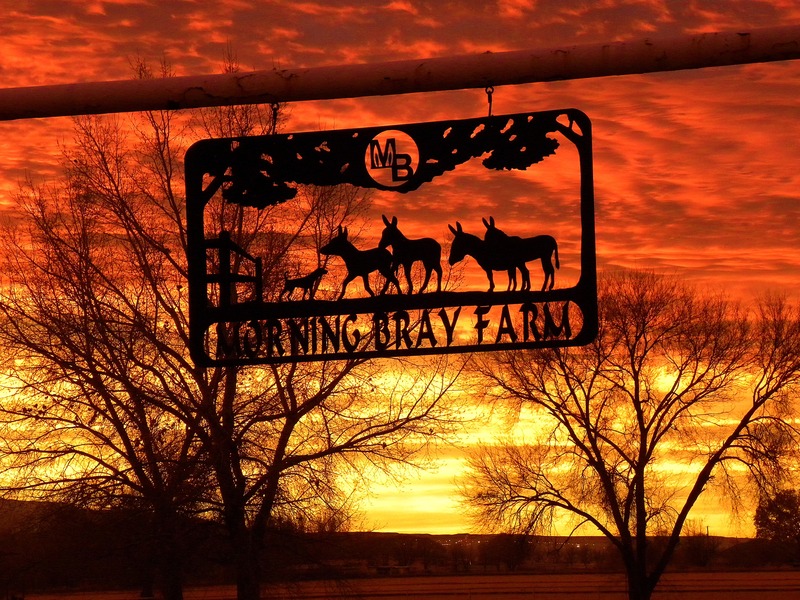 What a breathtaking picture of your Morning Bray Farm sign with a perfect sunrise! Love the sign of Morning Bray Farm! Did I thank you for you added “Leaves of Grass” on your blogroll “Our Blogging Friends”? Everything everyone else said. Absolutely awesome!!! Stunning. Makes you hold your breath. WOW! How can you ever go indoors with a sky like that? It seems like a rainbow ocean, upside down! Every sunrise and sunset is different and each one is beautiful beyond words. Instead of working off my christmas countdown to do list, I´m clicking your blog again and again. Great photos! What a background for your wonderful farm-label!